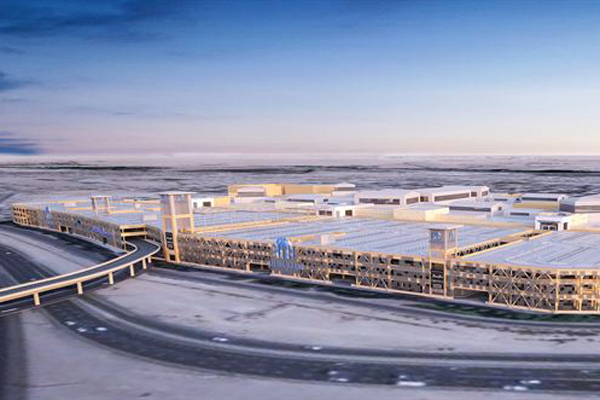 Majid Al Futtaim, a leading shopping mall, retail and leisure pioneer across the Middle East and North Africa region, has started work on the redevelopment of the City Centre Mirdif car-park at an estimated cost of Dh355 million ($91 million). City Centre Mirdif, located along Sheikh Mohamed Bin Zayed Road in Dubai, UAE, is a family-oriented shopping, lifestyle and entertainment destination, spread over 96,000 sq m of retail space. The expansion will add over 1,000 car parking spaces on a new upper deck, together with additional new entry and exit points which will significantly improve convenience and accessibility to City Centre Mirdif, the premium lifestyle, shopping, leisure and entertainment destination. The initiative follows direct customer feedback and demonstrates Majid Al Futtaim’s commitment to enhance its existing flagship destinations. The work is likely to be completed early next year. On the revamp, Mohamed Al Jasmi, the mall manager for City Centre Mirdif, said: "The Dh335 million ($91 million) investment to increase the car-parking facilities underscores Majid Al Futtaim’s commitment to create great moments for everyone, everyday." "The redevelopment of existing assets such as City Centre Mirdif is a key element of Majid Al Futtaim’s overall UAE strategy announced in June 2016 to open 10 new City Centre destinations, 28 cinemas, 40 Carrefour supermarkets and a 740,000-sq-m community by the end of 2020," noted Al Jasmi. The car-park redevelopment will also integrate an innovative parking guidance system enabling arriving guests to easily identify available parking spaces as well as to electronically locate their cars after a trip to the mall, he added. Majid Al Futtaim said the mall operations will continue as normal during the 15-month construction period.